The easiest way to make sales is to earn referrals and testimonials from your customer’s. Customers are usually delighted to provide referrals and testimonials for companies and products that work. That being said, you need to show your appreciation to your customer’s who put their name and reputation on the line for you. 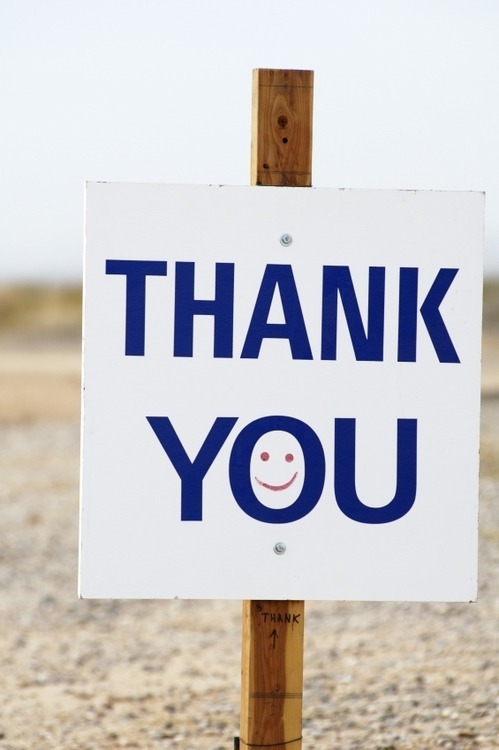 If you want your customer’s to keep doing this for you, make sure you show your appreciation. How you show this appreciation could take many forms. You could bring them baked goods or take them out to dinner. Taking them to a sporting event or concert of their choice is a great way to build your relationship. Remember to do a good job for your new customer! Another thing you could do is to show appreciation is to provide customers a coupon for 15 percent off any item that you sell once their referral has been converted to a sale. I would also provide a thank you note with the coupon. Also, I would develop a point and reward system that encourages your customers to provide you with more referrals. Credit card companies use a rewards and points system when customers make purchases. This can be a model you can copy and implement; depending on your budget. Gift-cards can also be an option. Remember, word of mouth marketing is a great tool to earn new business. Taking the time to say thank you is well worth the time and effort. Your customer’s have more weight with your prospects than you do! Let your customers help you earn new business. Your existing customer’s are one best sources of new business. This is why you should reward your customer’s for providing referrals and testimonials. Once you have made a sale to a customer, it is important to follow-up with a customer. As a Sales person it is important to deliver on the promises you make to customers. This means checking in with the customer throughout the implementation of your product or service and staying in touch with the customer after the sale. In this post, I am going to discuss how to earn referrals and testimonials. During my time as an outside sales representative in New York City, making sales was the highlight of my day. Once I made a sale, I was itching to ask for a referral or a testimonial. In other words, I wanted to ask the customer the question Do you know of anyone who could benefit from my product and services? However, once I made the sale my inner voice told me not to ask for a referral. Now many people would want to ask because they feel that the customer bought their products or services and this shows a sign of trust. But what did the customer really buy? Yes the customer bought you and your products but the main thing that they bought was your promise to deliver value through your offering. How can you ask someone to put their credibility on the line when you and your solution are unproven? Yet many people do. Asking for a referral right after the sale is a mistake because you have not delivered on your promise and you will seem ungrateful. The customer will think that you are not interested in building a relationship and that you just want to make a commission. Remember your job as a Sales person is to build relationships with customers and to make sales by demonstrating your products value to the customer. Once the sale is complete, it is your job to deliver on the promises that you make to your customer. Now you are thinking well this is great but when do I ask for a referral? How do I ask for a referral? I would ask the customer for a referral when you know the customer is happy with the implementation of your product or service. In other words, ask when you have delivered on your promise. If you offer more than one product or service try to cross sell or up sell the customer first. See if the customer will use more of your products or services or if the customer purchases more expensive offerings from you. Once the customer purchases more items from you, the customer is demonstrating that they like and trust you. This is the time to ask for a referral. I usually waited until this point to ask for a referral. I would ask the customer for a referral by first thanking them for the business that they have provided and trusted me with. Then I would ask if they knew of anyone like themselves that would benefit from my offering. My experience has taught me that the customers were always willing to offer themselves as a reference. Customers who offered me a referral would let me use their names with other clients or pass my name along to their peers. Testimonials are like referrals. Testimonials can come in a variety of forms. There is a testimonial letter and a testimonial video. The testimonial letter is when a customer writes a letter stating that you did a wonderful job for them and endorses you. The digital version of this letter is the recommendation feature on LinkedIn. The testimonial video is when a client speaks of your performance in a short video segment. When asking for a testimonial, offer the customer the option to choose the option they feel comfortable with. Also be sure to tell them what specific aspect of your service you want them to focus on. Once you receive a referral and/or testimonial, make sure to thank your customer. Should you get new business through a referral, provide great service otherwise your customer will not give you anymore! Keep your customer informed on the status of the relationship with the referral. This is how to earn a referral and testimonial in a nutshell.